Who doesn’t like success? We all do! And when it comes to your business, if you’re making a concerted effort to market your company online, then digital marketing success is the name of the game. 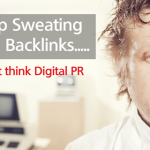 However there is a right way… and a wrong way to go about digital marketing. 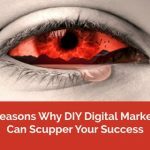 If you want to see your website rankings improve, more people talking about your brand, and more leads and sales, there’s one fundamental thing you need to know – the Do-It-Yourself approach can scupper your digital marketing success. The nub of the matter is this - unless you're a trained and hands-on experienced digital marketer, you don't know what you don't know. And in a highly competitive digital market that can lead to wasting your marketing budget - big time. Not convinced? 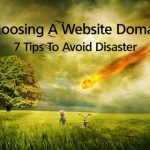 Here are 10 reasons why trying to do it alone will have a negative impact on your own digital marketing success. 1. Which Digital Marketing Channels? What’s it to be? Social media marketing on Instagram or Twitter? Google + or Facebook? What about Google Adwords or Bing? Or should you focus on content marketing and create videos that are bound to go viral? There again perhaps your budget is best spend on some boosted posts on Facebook? Let’s face it, digital marketing options are vast. And if you don’t understand them all , understand which are most relevant to your products and target market, how on earth can you decide where to spend you efforts and budget? 2. Free Advice From Mates Or Paid Advice From Experts? Easy to listen to your mates….A friend tells you exactly what type of thing to do for digital marketing success – based on their own (invariably limited) understanding of digital marketing. But have they assessed what your competitors are doing online? Do they understand your product and your target market? Are they qualified in Google Adwords? 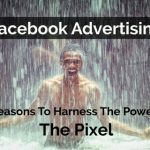 Have they run great Facebook ad campaigns? 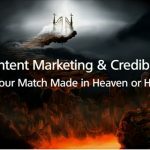 Do they write killer blogs and have success in guest blogging outreach? For the very best reason (saving money) you ask a capable member of staff to take responsibility for digital marketing. Yep they do their very best, read online blogs and try to follow all the guides they can find. But do you really think they can magically become online marketing gurus in a couple of weeks? Or course – they aren’t trained specialists. The best online marketing experts have both undertaken formal training courses and worked alongside other specialists to fully hone their trade. When they’re not sure what to do, where is their support network? There isn’t one. They have never worked alongside other digital marketing experts and have no one to offer advice when they’re really not sure about something. Or course – they aren’t trained specialists. I’m not saying that they don’t have the future ability to do so – I am just saying they are shooting in the dark. Or course – they aren’t trained specialists. Do they know what the minimum daily budget is for a Facebook campaign is? Do they know whether to set a monthly spend on Adwords of £50, £500 or £5000? Is a cost per click for a LinkedIn ad campaign of £5 the going rate? Or course – they aren’t trained specialists. If they don’t know their Google Analytics inside out, can’t use the Facebook pixel to create customised audiences and lookalike audiences, and know nothing about the Google Adwords remarketing tag – boy do you have problems. Or course – they aren’t trained specialists. They have no idea if a campaign is running as well as expected ie. within industry norms, or whether it’s a complete disaster and should be abandoned post haste. You can’t keep track of what is working and what isn’t in the world of internet marketing. And why would you? 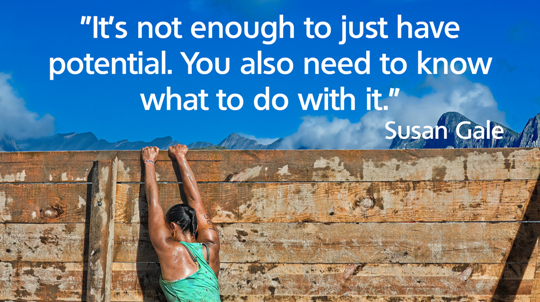 Digital marketing is not your field of expertise. You’re busy running a company. 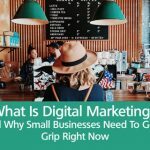 When you consider the 10 points above, it never fails to amaze me how many SMEs opt for Do-It-Yourself digital marketing, and are then surprised when they don’t get the results they had hoped for. Would you re-wire your own house? Would you service your own car? Would you cut your own hair? No? And why not? Because you would pay an expert to deliver those services. So when it comes to digital marketing success, trust me – leave it in the hands of the professionals. If you want to know more about what you don’t know in the world of digital marketing then simply drop us a line for a no obligation chat – looking forward to enlightening you!